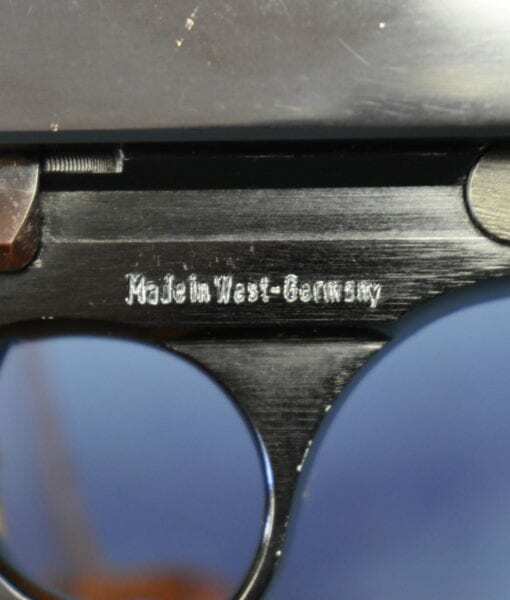 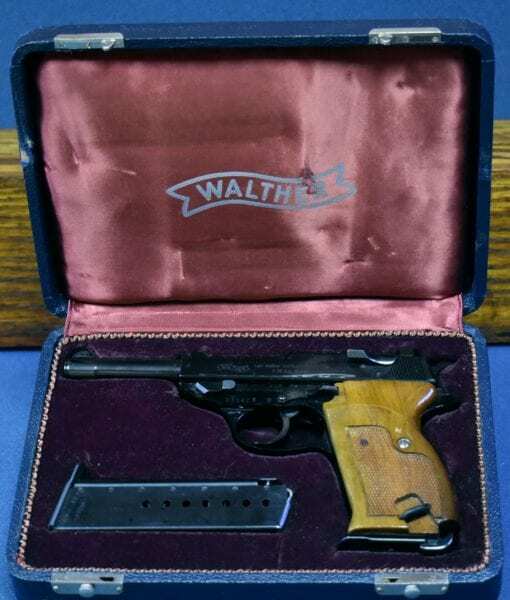 SOLD 1966 WALTHER P38 PISTOL…HIGH POLISH COMMERCIAL WITH THE SCARCE FACTORY BLUE PRESENTATION CASE…..NEW! 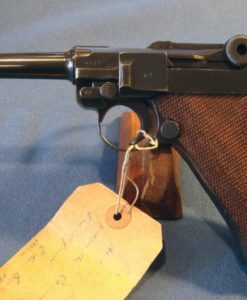 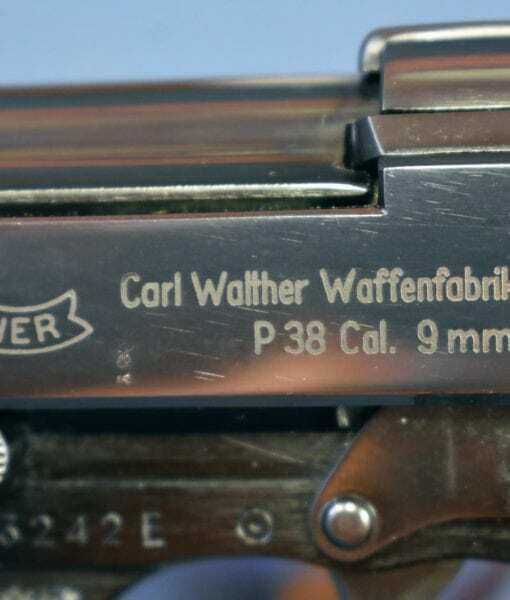 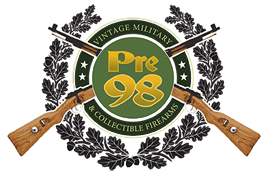 In 99% mint new condition, we have a 1966 Commercial High Polish Walther P38 Pistol with the scarce and highly desirable Blue Factory Presentation Case. 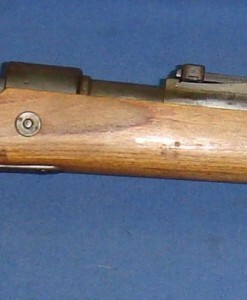 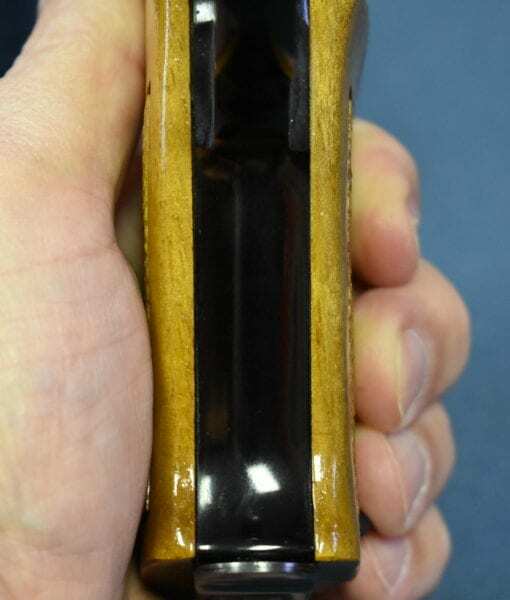 This pistol also has the nice walnut grips instead of the typical plastic grips you so often seen on these pistols. 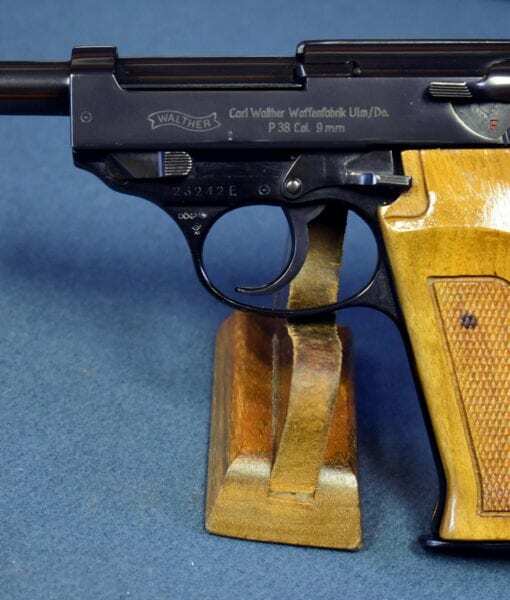 These pistols were very popular during the 1960’s-well into the late 1970’s. 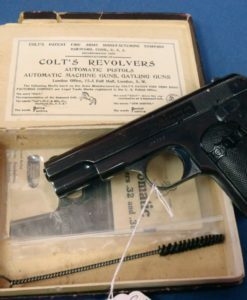 It was one of the most advanced and modern pistols of the era, even though it was designed decades earlier, this was best double action semi auto on the market for many years and every kid wanted one (including me). 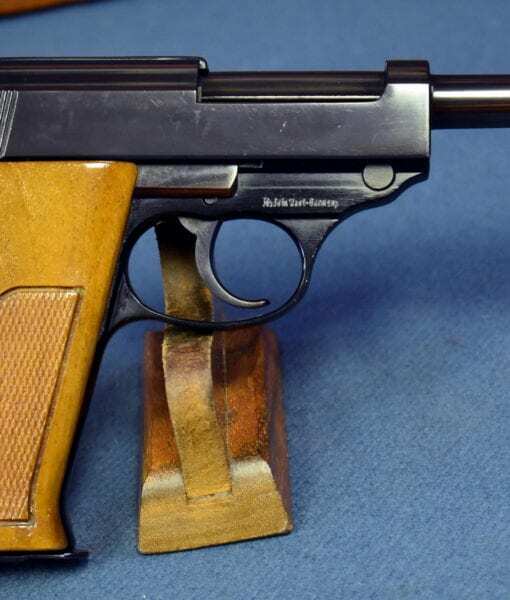 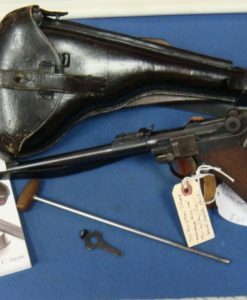 This is the very high grade commercial version of this pistol much nicer than the oft seen West German Army Surplus P1 Pistols. 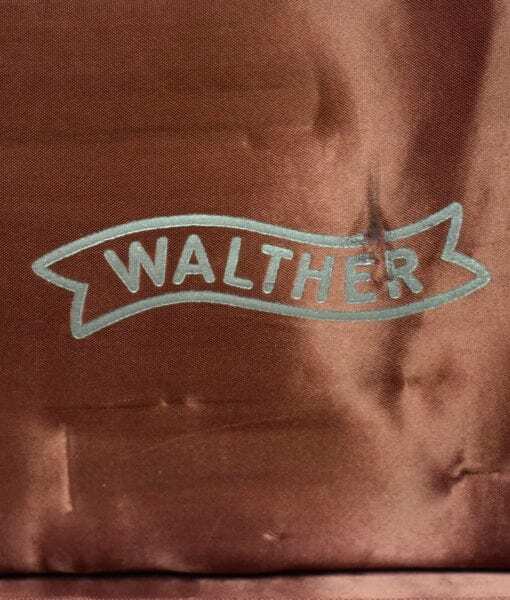 If you collect post war Walthers this is one of the must haves. 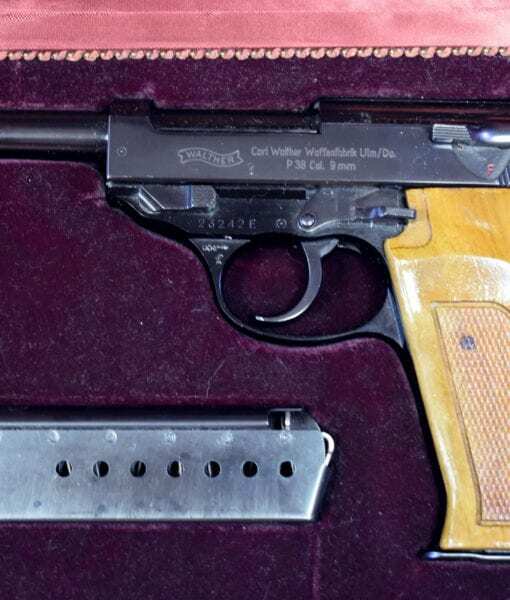 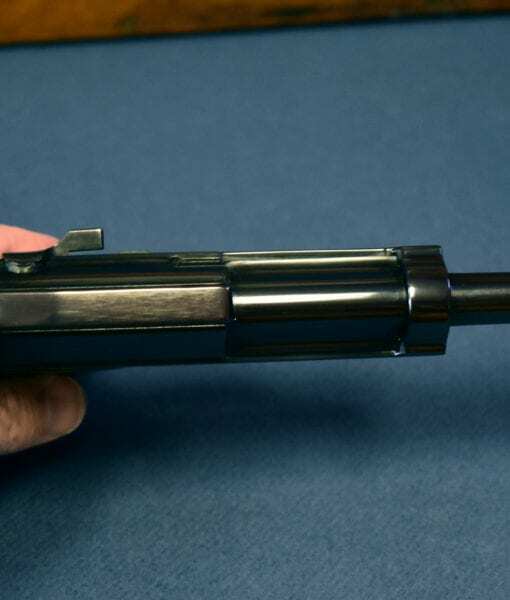 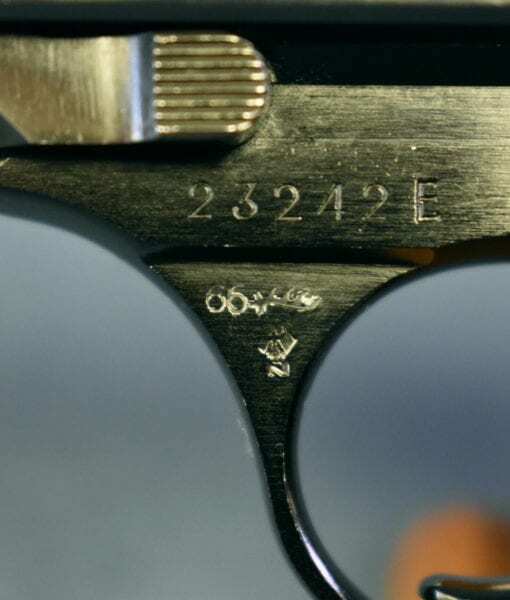 This would have been a very expensive pistol when it was purchased new back in 1966.